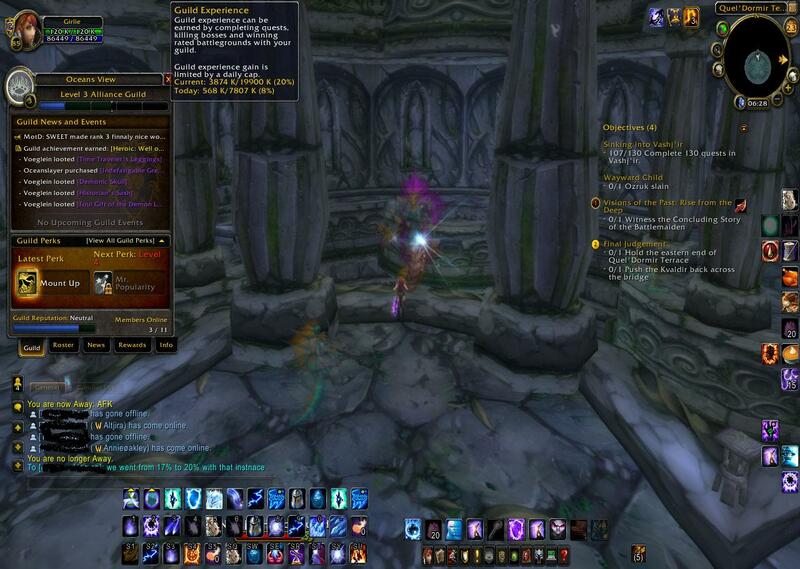 Always happy to help, I am now helping a good friend level his guild. I'm using my mage to do this and have started finishing all Cataclysm quests to start. While that will more than likely help me more, it will still help the guild. What helps the most is guild runs! I don't think we'll get any raids done. 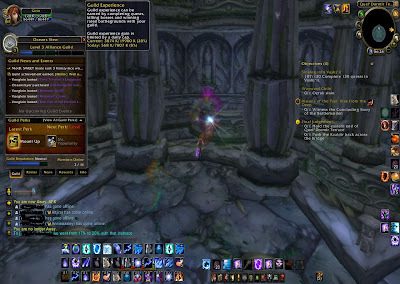 I did notice we got 3% of our next level from a guild run of Well of Eternity!